Germany is starting a long-overdue overhaul of its armed forces that will take more than a decade to implement. Staying the course and funding it are key to success. The Bundeswehr today needs three key things: will, money, and plenty of patience. 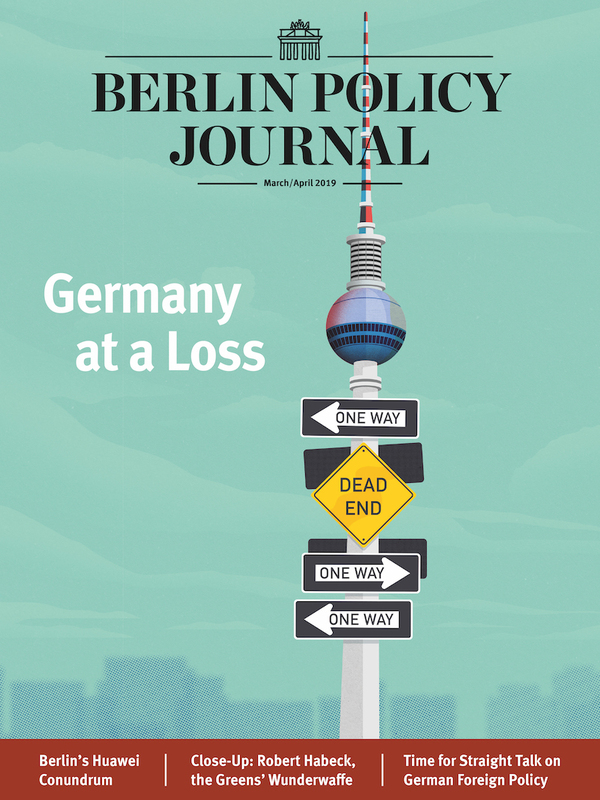 For far too long, Germany’s armed forces have been impaired by a severe mismatch of threat assessments, military objectives, and deployed resources. Some of the choices made have strayed too far off course to be easily corrected. Now, however, the Bundeswehr has finally been given a military and political roadmap that can guide it over the next 10 to 15 years. The defense ministry’s July 2016 White Paper on German Security Policy and the Future of the Bundeswehr, and the ensuing Bundeswehr Concept paper, lay out a strategy for building a military that can, together with France and the UK, form the central pillars of European defense in NATO and the EU. 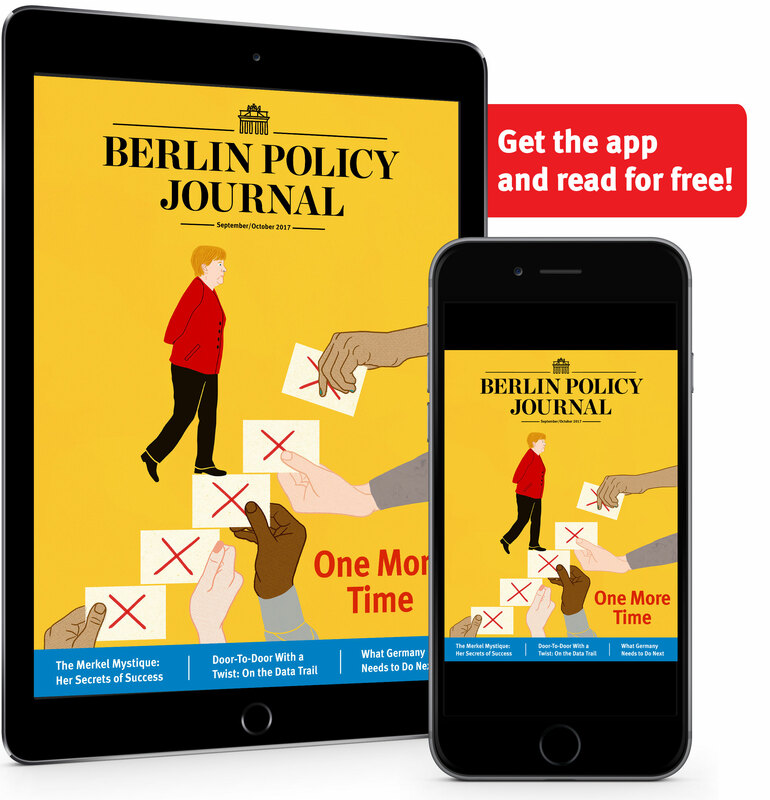 The White Paper points to a broad array of challenges that German security and defense policymakers will have to face. They range from transnational terrorism to cyber threats and inter-state conflicts; from the dangers of fragile statehood to the proliferation of weapons of mass destruction; and from threats to supply and trade lines to migration and pandemics. The Bundeswehr, as a central instrument of Germany’s security policy, can play a role on all these fronts. The threats do vary significantly in intensity, and the White Paper suggests focusing on the more present risk of inter-state warfare. Two central concepts that emerge from the threat analysis warrant more attention. First, Russia is no longer Germany’s or Europe’s strategic partner. Instead, in this context, the country has started to act more as a rival or strategic challenger to European security. A military conflict with Russia—limited in time and physical space, but nonetheless highly intensive—is quite possible, and that highlights the crucial importance of both a strong national defense and international security alliances. Second, as the threats that German security faces have grown more complex, they have also become more unpredictable. Ironically, unpredictability has become one of the few constants in global security in recent years. These two underlying issues have shaped resolutions and communiqués at every NATO summit since 2014, including the stormy 2018 gathering. They are also reflected in the EU’s Global Strategy, which was adopted in 2016, and the EU’s revised capability planning. The paper thus reinforces a basic tenet in security policy: defense planning should never stray so far off course that the military is rendered unable to respond to changes in the security environment. This doctrine appears to have been neglected by defense ministers from both Chancellor Angela Merkel’s own conservative CDU party and the SPD, her junior coalition partner. But according to the paper, even if the Bundeswehr’s domestic duties—crisis management and subsidiary assistance—have until now been on equal footing with its national and international defense duties, the latter should become a fundamental priority and shape the armed forces in the future. The Bundeswehr’s yawning gaps in equipment and training, its struggles to build mission-ready units, and its inability to recruit and retain enough personnel have all been well-documented by the media and widely debated by politicians. Lieutenant General Erhard Bühler, Director General for Planning in the defense ministry, noted the “significant need for change” in all capacity-related areas. To correct course, the government has closely linked its national targets to NATO’s defense planning process. Germany continues to be under considerable pressure in the Atlantic alliance. It is one of the few European countries which could boost overall NATO capability through a substantial improvement of its own capabilities. At a 2017 conference, a high-ranking officer of a large NATO member state presented 22 areas where greater efforts by European allies would be desirable. In 20 of these 22 fields, Germany was listed as one of the possible service providers. Some of Germany’s plans to increase capability are known—like the goal to build up the army by 2032 so that three divisions consisting of a total of eight to ten fully operational armored combat brigades will able to be activated for alliance defense within a maximum of 90 days. At the moment, the Bundeswehr can offer only two divisions with six brigades. In order for Germany to carry out the leadership functions it pledged to NATO in the Very High Readiness Joint Task Force and the NATO Response Force, the existing structures have to be modernized immediately and will continue to be modernized into the first half of the coming decade. There is less need for the navy to overhaul its basic structure; instead, the navy must ensure that the 15 ships and boats planned for combat are ready for missions above and below water, and that aging ships are replaced with new ones. The same cannot be said for the Luftwaffe, however. In line with its future leadership functions in NATO, Germany’s air force is expected to lead a multinational group that flies 350 combat missions a day, of which Germany would assume responsibility for 260. The number of combat missions that one aircraft can perform on a single day depends on a variety of parameters. However, the International Institute for Strategic Studies (IISS) evaluated combat missions over the past 25 years and found that once an operation extends beyond seven days, it becomes very difficult to maintain a rate of more than 1.5 missions per day per aircraft. That would mean that the Luftwaffe would have to provide more than 170 aircraft to meet the target. Yet at the moment, the reality looks very different. According to the “Report on the material operational readiness of the Bundeswehr’s main weapon systems” released in February, an average of 39 eurofighters (out of approximately 130) and 26 tornado jets (of approximately 90) were actually available. The Bundeswehr, like other armed forces in Europe, needs significant funding, especially if Germany is to become the backbone of European security. First, the Bundeswehr must rebuild its operational readiness. This will require, among other things, more money for spare parts, maintenance, training, and logistics. Secondly, essential weapons systems must be modernized, i.e. replaced with new systems, across all branches. And thirdly, the Bundeswehr needs more personnel. 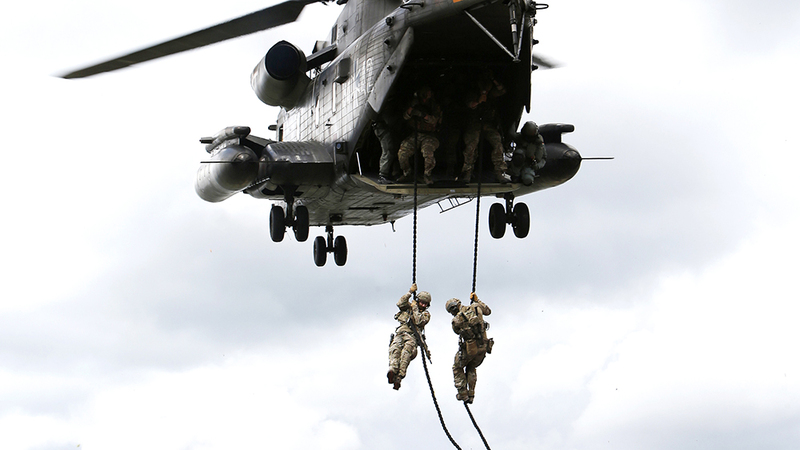 In 2016, Defense Minister Ursula von der Leyen estimated that the Bundeswehr would require 130 billion euros in investment through the year 2030 to reach its goals. But in 2017, the German defense ministry only invested around €5.25 billion, as measured according to the standard international definition of defense investment (the cost of procurement plus research, development, and testing). It is obvious that the Bundeswehr can’t live up to its own claim to action at this slow pace. And a closer look at the numbers reveals a clear trend: Germany does not spend enough money on defense when it comes to the tasks and skills required. At the start of the financial crisis in 2008, Germany was spending around 1.14 percent of GDP on defense; ten years later, in 2017, it spent 37 billion euros, or 1.13 percent of GDP. Adjusted for inflation, defense spending in 2017 was ten percent higher than in 2008. Yet when we consider that defense inflation is generally much higher than for the economy as a whole, the effect is likely to be negative, according to calculations from Military Balance +, an IISS online database. Deutsche Bank Research has calculated that Germany would have to spend around €80.5 billion on defense in 2024 if the German government wanted to implement NATO’s two percent target, which it pledged to reach at the 2014 Wales Summit. This would require an annual defense budget increase of about 12 percent. The government has only been able to produce that kind of spending in selected years, as the latest budgetary plan for 2018 and 2019 have indicated. Above all, it is imperative that all the substantial efforts the government and defense ministry are undertaking in rebuilding the Bundeswehr are based solely upon the assessment of the threat and Germany’s own will to act. It should not be about blindly fulfilling demands from US President Donald Trump for “more money,” nor should it be about upgrading equipment without a purpose. The Bundeswehr is well on its way to restoring full operational readiness. It is a long and expensive path, but it is necessary. is the Director of Defense and Military Analysis at the International Institute for Strategic Studies (IISS).